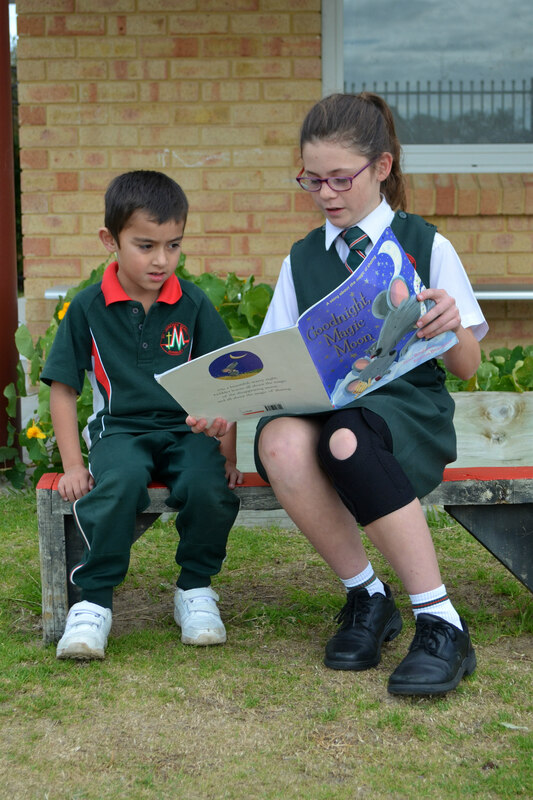 Welcome to the St Joseph’s Catholic Primary School Community. We trust that your association with the school will be both happy and rewarding. The time your child will spend in primary education is a most significant period in your child’s life and in the life of your family. 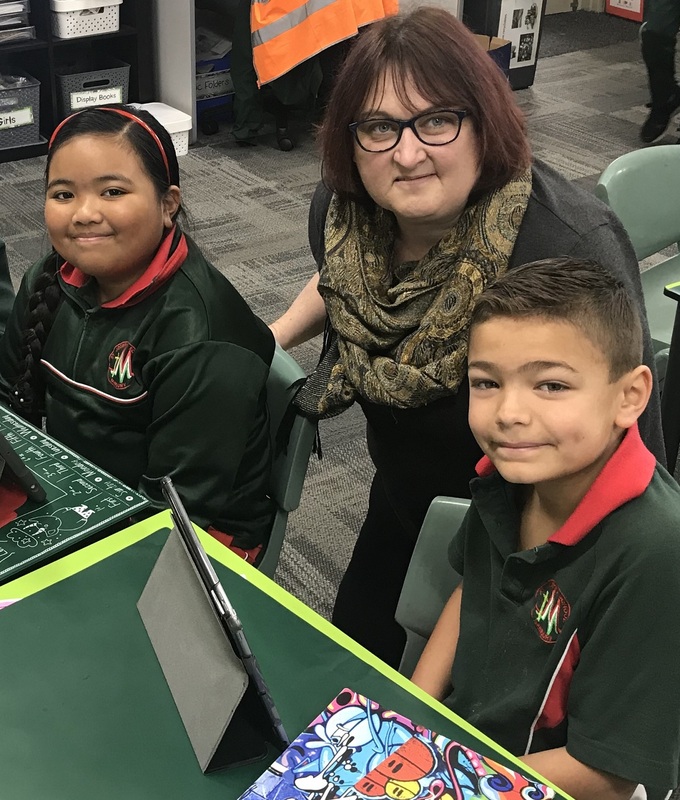 St Joseph's is a double stream, co-educational Catholic primary school catering for a current enrolment of 500 students from the Three Year Old Kindergarten to Year Six within a Christ centred environment. The school has strong links to the Sisters of Mercy who founded our school and were instrumental in the establishment of primary education in the Bunbury region. St Joseph's has a strong sense of community that embraces the importance of a vibrant partnership between home and school. Our school motto of By Faith: Living, Loving and Learning, assists us in focusing on what is truly important to us at St Joseph’s Catholic Primary School. We recognise that parents are the prime educators of their children and therefore a strong sense of parent participation is encouraged within the school, both informally and formally. The pursuit of academic excellence and the education of the whole person in a safe and happy school setting are our highest priorities. We hope you enjoy your time at St Joseph’s Catholic Primary School and we look forward to working with you in providing a quality Catholic education for your child. The St Joseph's Catholic Primary School Community continues the mission of our Sisters of Mercy founders. Staff, students and parents work collaboratively in an inclusive environment to empower the whole child to grow and learn about God, themselves and the world. Through the provision of excellence in education, the students are supported in becoming compassionate, resilient and active members of their community who have the courage to act on their beliefs. 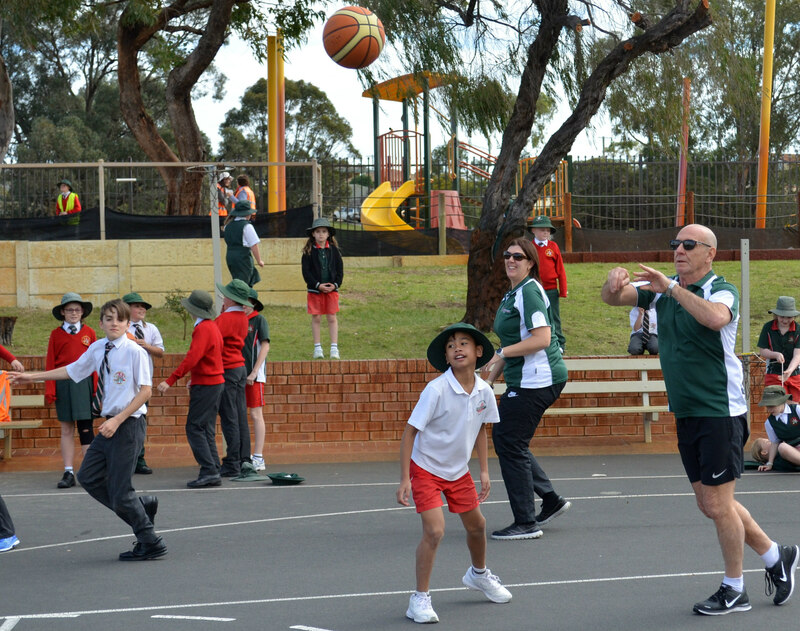 St. Joseph’s Catholic Primary School is a Christ-centred community, within the Bunbury Parish, which aspires to educate and develop the whole child in a caring, Catholic environment, recognising and respecting the uniqueness, dignity and the rights of others. Our school crest reminds us that our school continues a tradition of dedication and service brought to Bunbury by the Sisters of Mercy almost 100 years ago. The cross conveys the centrality of Christ and Church to our school. The "Ms", which form 'spires' on our crest, reminds us of the Sisters of Mercy teaching order which was involved in founding Catholic Schools in Bunbury, and Mary the Mother of Jesus. The rising red and green spires also reflect the presence of the Church and of our own hopes of growing towards God. Our School Motto is "By Faith: Living, Loving, Learning." Living: We try to live the way that Jesus showed us to and it gives us our incentive to behave and succeed to the best of our ability. Loving: Reminds us that we must love everyone equally and forgive those who do us wrong. Learning: We learn the way of God through working to our maximum capacity. Our FAITH is the energy which drives our lives. St Joseph's is fortunate to enjoy a large amount of parental involvement. This not only enhances our learning programmes but also gives parents the opportunity to be a part of their child's education at school. There are a wide range of areas where parents can assist in classroom programmes such as participating in the Kindergarten and Pre-Primary rosters, Toe By Toe Reading, library helpers, canteen and so forth. The School Board assists the Principal in a number of ways with the two main areas being financial management and capital development. The School Board is accountable to the Catholic Education Western Australia. The Board meets on a monthly basis. Each year an Annual General Meeting is held and all parents, except those employed by the school, are eligible for election. Parents and guardians are encouraged to be active participants within the Parents and Friends Association which exists to improve the educational facilities for the students, provide a forum for school / home liaison and to organise social events. Meetings are held each month and parents are informed of the time in the newsletters and via our Google Calendar. It is hoped that every family will be represented at these meetings. Support the aims of the State Federation. Achieve common St Joseph's School goals. Liaison between the school community and Principal / School Board. Social and educational interaction between home and school, parents and staff. Encourage active participation by parents in their children's school years. Forum for ideas and discussion on issues that will benefit our children's education. Arrange guest speakers in educational, faith development and other areas of interest. Fundraising for resources necessary for the children or to assist the teachers. 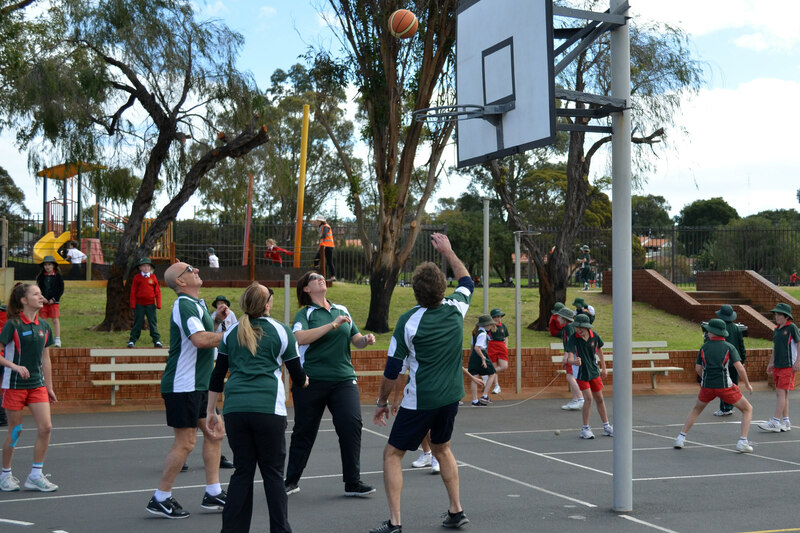 Assistant with planning, organising or running social, sporting, cultural and educational functions for the school community. 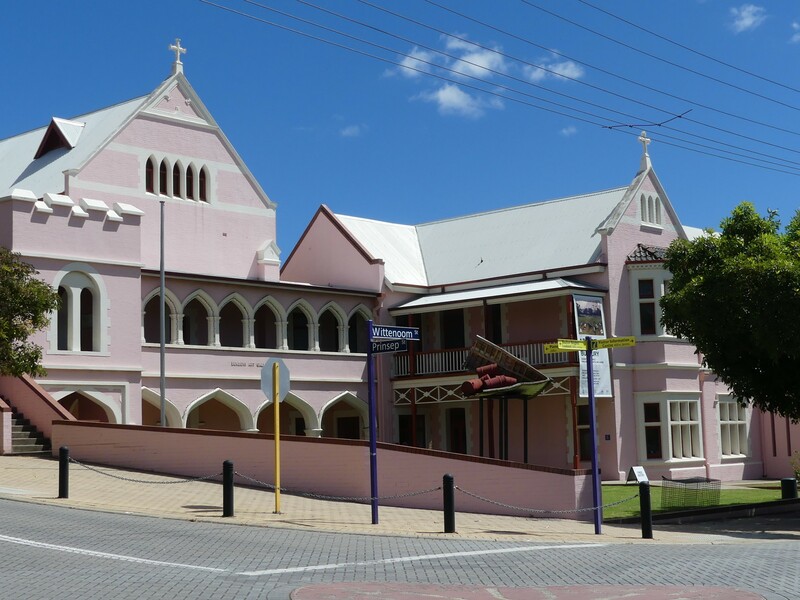 Catholic Education was first established in Bunbury by the Sisters of Mercy in 1898. Their tradition of faith and service was continued when St Mary's opened in South Bunbury in 1904, and again when the Marist Brothers opened a college for boys in 1954. In 1972 a School Board was formed to review the provision of Catholic Education in Bunbury and to plan for future needs. The following year the college became the co-educational Bunbury Catholic College. In 1978 the junior school, which had been established at St Thomas' in Carey Park, was amalgamated with St Mary's, catering for all the junior primary children in Catholic schools in Bunbury. St Joseph's, in the centre of town, was the site for middle and upper primary children. The Sisters of Mercy were, by then, ready to move into other areas of service in Bunbury. So the central town site, focused on the old convent, was sold and the present St Joseph's building was commenced on the boundary of Glen Padden on four hectares of land made available through the generous donation of Deacon Michael and Phyllis Flynn. The school moved out from town in 1982. 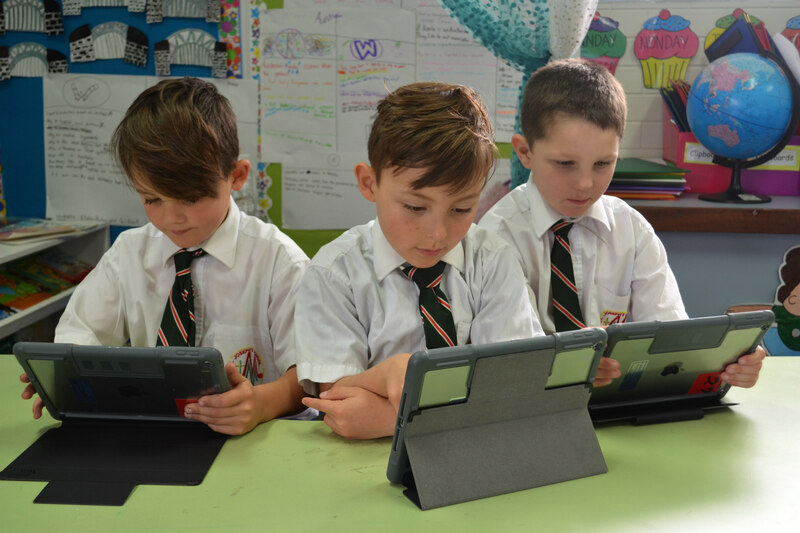 In 1985 separate School Boards were formed for secondary and primary schools and over a transitional period, St Mary's and St Joseph's developed the resources to accept enrolments for Pre-Primary to year 7 children on each site. At the end of 1992 Bunbury Catholic Primary School ceased to exist and St Mary's and St Joseph's became fully independent primary schools. St Joseph's is a double stream primary school catering for approximately 500 students. The school is located four kilometres from the main Mass centre, being the St Patrick's Cathedral site. The school has a purpose-built Chapel which is used for weekly staff prayer and year level liturgies. The covered assembly area is also used for whole school Masses. During recent years the school has experienced steady student population growth. Strong housing development in the southern Bunbury region, particularly in Dalyellup, has contributed to this growth. Generally, this increase in enrolments has resulted in some classes reaching capacity, with a current waiting list, whilst others are in the vicinity of 30 students. To provide a well-balanced and enriched curriculum to equip all with the necessary skills to participate fully in our rapidly changing society. The Code applies to staff, students, volunteers, parents and guardians as applicable. The term ‘parents’ includes guardians. Enter your email address to get the latest news, special events and student activities delivered to your inbox.